V is just getting started with her stage acting career. 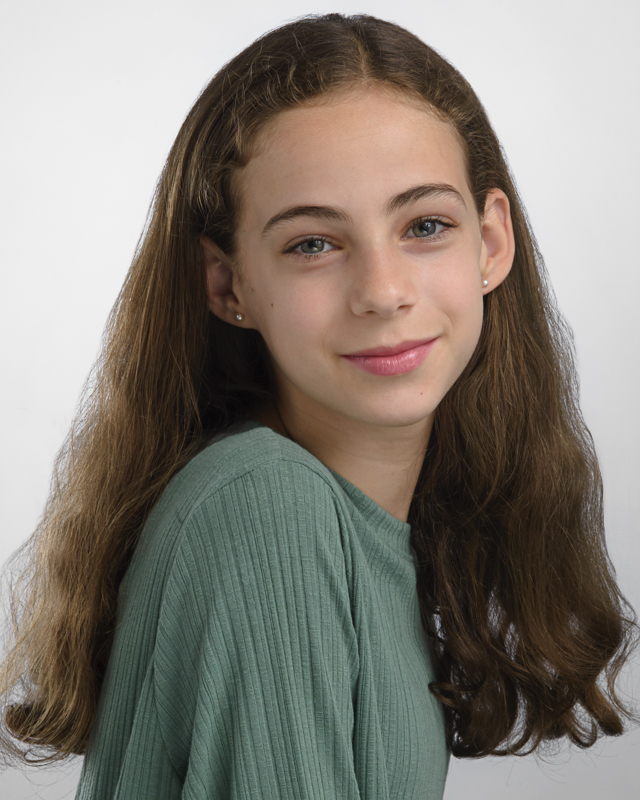 Her stage mom correctly assumed that she needed to invest in professional headshots for her daughter. A actor who submits a professional portrait by a photographer distinguishes themselves and gets more auditions. V is a student at the Oakland School for the Arts (OSA), a charter school for visual and performing arts in Uptown Oakland. V is a middle school student studying Theatre Arts at OSA. She is preparing to audition for the Broadway production of Annie and needs headshots. Her mom was referred to me by another OSA parent whose child I had photographed. Stage-parents are just like supportive parents of kids in sports or other interests. With any pursuit, there is so much to know and so many things that should be left to a professional if you want to your kids to be successful. Of course, professional headshots are an investment that typically range from $400-$1000. This one purchase might be the best place to invest your money to further an acting career. 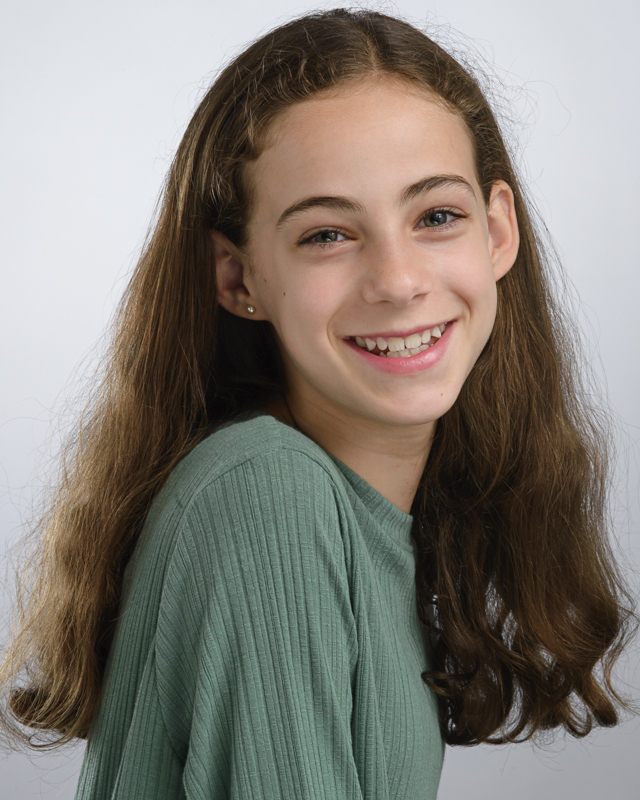 Here are some tips for stage-parents who are planning their child’s acting headshot session. Headshots are critical for an actor. It’s their first step to getting an audition as casting directors and agents go through so many looking for the right fit for the part. A professional photographer knows how to create a portrait with great lighting, posing and background. For V, we went with a studio-photo shoot using a white background for a clean look. I used a main light, a hair light and 2 reflectors setup. It’s all in the eyes. Grab directors’ attention through strong, engaging eye contact. In a headshot the eyes should communicate directly to the viewer rather than the contemplative off-camera gaze. V emphasized her eyes with the help of a touch of mascara. She’s a child, so full-on makeup would not have been appropriate. Dead eyes are NOT compelling. Have you seen a photo where the eyes lack life and sparkle?That look is NOT compelling and it distinguishes a professional headshot from an amateur. To make sure V’s eyes looked alive and sparkly, I used reflectors under and to the side of her face to made sure she had multiple catchlights in her eyes (the white reflection of light). What to wear? I suggested V wear solid color clothes that compliments her skin tone and makes her eyes pop. V has beautiful green eyes and the green shirt she brought really worked well for her. She had tried on a black shirt but that made her skin look pale and seemed to draw the attention away from her face and eyes. Do I Need Retouching? Actor headshots generally require little retouching and photoshop as the directors need to know what you REALLY look like. Imagine a director expecting a sweet 12 year old blonde and an 18 year old pink-haired tattooed actor shows up! For V, I removed a few stray hairs. Teenagers with pimples get more attention as I’ll clean up blemishes up for them. To smile or not to smile? That is the question. During our hour-long session, I coached V in a variety of poses that included big toothy smiles, soft smiles and relaxed non-smiles. Different actors choose different expressions for their final headshots. Some kids don’t want to emphasize their braces or they want to portray a more serious self with a closed mouth expression. Others see their smile and dimples as their best assets. Still, others want to appear younger or more mature through their expression. Either way, headshots should NOT look goofy or character-driven as directors want to see the person and let their acting skills transform them into the character during the audition. If YOU or your child need professional headshots, please contact me at 510-917-0659 or go to my CONTACT PAGE for more information.